Every morning I walk into my kitchen I feel I am entering a page of an Interior Design Magazine. Glenline is kitchen interior design perfection. 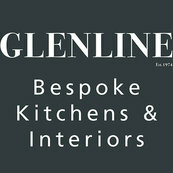 Glenline delivered beyond my expection of Form and Function! When I walk into my kitchen after a long, exhausting day at work, I can relax in the beautiful ambience of my beautiful kitchen.